Yue joined Auerbach Glasow in 2014 and brought with her broad lighting design experience in diverse cultural environments. She is an associate and project manager with the firm and her recent project experience includes designs for the San Francisco Conservatory of Music at 200 Van Ness, Monterey Bay Aquarium’s Center for Education and Leadership and 700 Santana Row in San Jose. 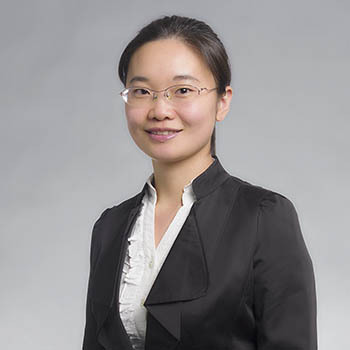 Yue started her lighting career at an award-winning lighting design firm in Bonn, Germany where she was involved in the design of many significant domestic and international projects. After that, she moved to a prestigious lighting design firm in Stuttgart, Germany as a lighting designer and project manager. Her project experience includes lighting master plans for streetscapes, exterior lighting of urban spaces, historic buildings, museums, theatres, retail, hospitality buildings, commercial office facilities as well as the design and development of lighting fixtures. She has also participated in multiple research projects and lighting design workshops.